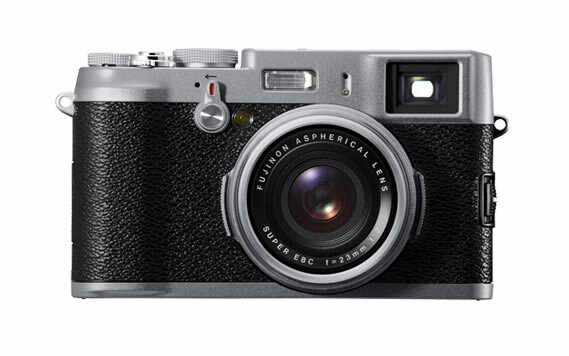 If you are one of the very lucky owners of the FinePix X100 camera, or are considering to buy one, you’ll be happy to know that Fujifilm has made available an updated firmware for the very capable camera. The FinePix X100 features a large APS-C sensor, super-sharp fixed focal length lens, in a compact, very solid and very beautiful body. Nonetheless there have been some qualms regarding the usability of the camera and Fujifilm is addressing a number of these issues in this update. Firmware v1.10 brings a total of 22 fixes and add-ons; with the list of fixes/additions after the break together with a link to download the firmware and a how-to update the camera guide. The following functions can be rocked during shooting by holding down [MENU / OK] button over 3 sec. Adjustment in1/3 step increment for shutter speed or aperture setting is enabled in Shutter-Priority AE and Aperture-Priority AE mode, on top of those in Manual Exposure mode. In the post-view mode (display after shooting), focused area is magnified in the LCD (EVF) display when the command control lever is pressed. Setting of the role for “Fn” button is enabled by holding down “Fn” button over 3 sec. Actual ISO sensitivity for shooting is displayed just after pressing shutter button halfway, when “ISO AUTO CONTROLL” is set to ON. When “eye sensor” is activated by pressing “VIEW MODE” button, “EYE SENSOR” is displayed on EVF / OVF or LCD just a while to notice the status. Macro mode ISO sensitivity, Drive mode, Dynamic range, Self-timer mode, flash mode is maintained even if shutter speed setting or aperture setting is changed. Also, even after changing viewing mode into shooting mode or turning of the camera, these values are maintained. The size of focus frame set through viewing EVF / LCD is maintained even after changing display mode between OVF and EVF (LCD). When “SHUTTER SOUND” is chosen, each shutter sound is performed in each menu setting. In viewing mode, the last viewed shot is maintained as even after changing into shooting mode. When the aspect ration of the image size is set to 16:9, the line of bright frame line on OVF is displayed with aspect ratio 16:9. Viewing mode with Photo Information on EVF / LCD is maintained even if another image is shot. On top of this issue, deleting picture directly is enabled even in viewing with Photo information by pressing the command dial up, or MENU operation is also enabled. Occasionally, preview image on EVF / LCD after pressing the shutter halfway might be darker than live view, according to aperture setting or brightness of shooting target. This phenomenon is improved. When “DISP. CUSTOM SETTING” is set to OVF or EVF / LCD, the setting value is maintained even after customizing the menu. Even for only RAW data recording mode, “RED EYE REMOVAL” setting is selectable among ON or OFF. In MF (manual focus) setting with OVF mode, OVF viewing is activated after pressing shutter half way, even if “FOCUS CHECK” (magnifying center of the image) is displayed in EVF by pressing the center of the command control lever. Displaying period after pressing each command dial (Macro / Flash) is prolonged from 1.5 sec into 2.0 sec for confirming correctly. For resuming from AUTO POWER OFF setting, the shutter release button was required to hold down halfway for a few second. For quicker operation, resuming is activated by just pressing the button. Image quality captured by Velvia / ASTIA mode is improved on mainly shadow tone (dark area), when dynamic range is set to 200% or 400%. When “OVF POWER SAVE MODE” is set to ON and “Fn” button is set to “MOVIE RECORDING”, the camera may be unstable occasionally. This phenomenon is improved. Histogram display on OVF during exposure compensation is improved.